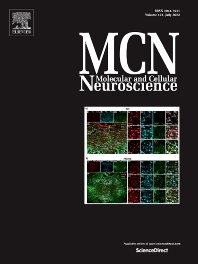 Molecular and Cellular Neuroscience publishes original research of high significance covering all aspects of neurosciences indicated by the broadest interpretation of the journal's title. In particular, the journal focuses on synaptic maintenance, de- and re-organization, neuron-glia communication, and de-/regenerative neurobiology. In addition, studies using animal models of disease with translational prospects and experimental approaches with backward validation of disease signatures from human patients are welcome. Furthermore, since rapid peer-review and publication of such research is of paramount importance, extended cycles of article revision and re-review will not be entered into; it is anticipated that authors will fully address all referees' comments during the course of a single revision of their original manuscript.